The thirteenth edition of Gustatus, The Sense of Taste, is about to start! 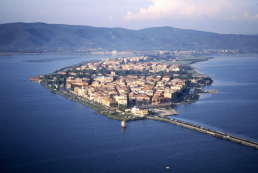 The gastronomic event is dedicated to the excellence of Maremma, and has been organized by the Municipality of Orbetello, and Welcome Maremma. This year, I Love Italian Food together with Dissapore and iFood will be the media partners of the project to share the rich history of the unique products in the Maremma region; Both nationally and internationally. I Love Italian food will produce interviews with experts, organized in Dissapore Caffè (piazza Eroi Dei Due Mondi), as well as social reporting activities of the iFood blogger team. The production and distribution of content dedicated to the narration of the food and wine excellences of the territory will be available on all of the I Love Italian Food social channels. On Sunday October 21st, Paris served as a magical setting to unveil the third date of the 100per100 Italian 2018, an evening dedicated to honoring the true patrons of Italian Food in France. This was an event organized by I Love Italian Food – a non-profit Association and a network which promotes and defends the real Made in Italy agribusiness in the world. Created in the heart of the Food Valley in Italy in 2013 – I love Italian Food was originally an initiative by a group of friends keen on Italian food. Today the organization is an international community that has reached more than one billion contacts all around the world. I Love Italian Food Cultural Association announced the names of the professionals who have stood out in promoting the real Italian food in Paris. During last months, indeed, 100 Italian professionals from the network of I Love Italian Food, based in Paris and experts in the made in Italy, have been involved in the project to suggest the names of the realities that every day distinguish themselves in offering an authentic Italian cuisine, to the French consumers as well. 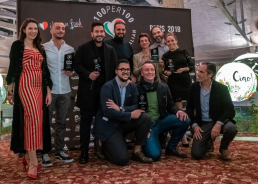 And for the awards this year the six 100per100 Italian Awards were given during the exclusive evening leaded by Eleonora Galasso - foodpreneur, writer and TV host in France and UK -, hold at La Felicità, the biggest restaurant in Europe created by Big Mamma. For the category 100per100 Italian Restaurant, through the recommendations of the network, the award went to Mori Venice Bar, Italian restaurant developed by Massimo Mori, which offers authentic Italian products and a menu that is totally free from any other culinary culture contamination. The 100per100 Italian Espresso Award went to Caffè Stern, suggested by the network of I Love Italian Food as the perfect place to take some time and taste a real Italian espresso, also prepared in the most traditional way, with the Moka. The Alajmo family is leading the restaurant, with Giovanni, son of one of the Michelin starred brothers of Le Calandre, and Chef Denis Mattiuzzi, leading the kitchen brigade. The recognition will not be complete without the award of ‘The real Italian pizza’, prepared according to the Neapolitan tradition, using 100% made in Italy ingredients, from oil, to tomato, to basil. 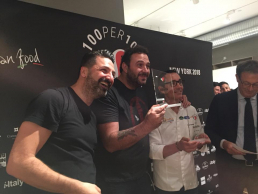 The award 100per100 Italian Pizza went to Pizzeria Popolare, one of the most recent realities by Big Mamma group, under the guide of Head Pizzaiolo Giuseppe Cutraro. For the 100per100 Italian Gelato award, the network of I Love Italian Food has no doubts that Pozzetto is the most suggested place to taste the experience of a real homemade Italian gelato abroad in Paris. An emerging but already successful name in the panorama of the Italian cuisine in Paris for the 100per100 Italian Chef award, given to Denny Imbroisi: talented, with Italian origins of course, founders of two restaurants in Paris, Ida and Epoca. In conclusion, a special award for this French edition of the 100per100 Italian Awards: 100per100 Italian Idea, exclusively given to the successful company that takes the real made in Italy abroad: Big Mamma, the group founded in 2013 by two French guys, Victor Lugger e Tigraine Seydoux, leaded together with Ciro Cristiano, F&B Executive Chef of the group counting today 7 restaurants in France and two new openings in London, all focused on the authentic Italian cuisine. The event was a huge success, thanks to the support of the partners of I Love Italian Food: Parmareggio, Igor, Pastificio Granoro, Alcisa, Casa Modena, Senfter, Monte delle Vigne, Bottega Gastronomica e Zorzi. On the 21st of October I Love Italian Food returns to Paris with its international project 100per100 Italian Awards. The evening will be the Made in Italy event par excellence in Paris, coinciding with SIAL 2018 (from the 21st to the 25th of October). A moment created to reward true Italian food and its protagonists in the Ville Lumière. In fact, celebrating Made in Italy also means rewarding professionals and realities that promote authentic Italian food and wine culture every day. The crucial moment of the event will therefore be the ceremony for the 100per100 Italian Awards, hosted by Eleonora Galasso, foodpreneur, writer and well-known face of French and English television. The special setting for this occasion will be La Felicità, a unique location and symbol of Italian spirit, in the heart of Paris. 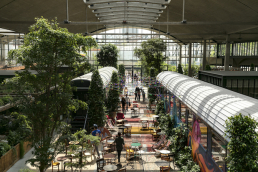 La Felicità, inaugurated in May and already known as the largest restaurant in Europe, is the new food hall of the Big Mamma group, the true entrepreneurial case of European food service. Big Mamma has 7 restaurants just in Paris with more than 200 employees, has just opened La Bellezza in Lille and is also preparing openings outside of France. An Italian 100per100 menu, specially created by the La Felicità team, to delight our guests, including chefs, journalists, influencers, media, institutions and operators in the F & B sector. 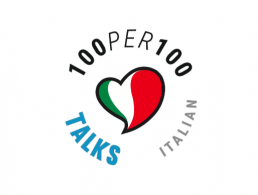 100per100 Italian Awards is a project realised with the support of Igor, Pastificio Granoro, Parmareggio, Casa Modena, Alcisa, Senfter, Monte delle Vigne, Bottega Gastronomica and Zorzi. On Monday, 24th of September, at the spectacular location of Ruote da Sogno, in Reggio Emilia, they were held the first 100per100 Italian Talks which focused on the theme of Italian food as a unique and irreplaceable resource of our country: "the oil of Italy ". I Love Italian Food managed to bring in front of an audience of F&B professionals the unique visions of 5 representatives of this industry introduced by the founder of Dissapore, Massimo Bernardi, special host of the evening. Sara Roversi highlighted how it is essential to think about the future of food and innovation as a collective effort. The message from the Future Food Institute is to collaborate, cooperate and contaminate each others in order to find real solutions. In her last world mission, Sara met 160 representatives among farmers, entrepreneurs, experts, activists and researchers; 160 innovators who, according to the Future Food Institute, are the key to work positively on the future of food. Maria Letizia Gardone, who replaced the President of Coldiretti Roberto Moncalvo, reminded us that our agricultural heritage is the basis of the wealth of our products. Agriculture has made us a leader in Europe in terms of the number of organic companies and the safety and healthiness of products. Farmers and industry must unite to fight the common enemy: the Italian sounding phenomenon. The first step in this direction is Filiera Italia, which sees Coldiretti and the processing companies on the same front. Thomas Rosolia, CEO of Koelnmesse Italia, was the spokesperson of fairs, an indispensable tool for export. In the digital world, fairs remain the meeting point and real confrontation with the foreign market, customers or potential customers. Also in this context it is indispensable to defend Made in Italy by informing foreign populations through activities that educate and explain true Italian products. Nicola Levoni, president of ASSICA, brought us an other perspective: the need for Italian producers and companies to combine food culture with humanistic culture. We must start from the tourist approaching the product in Italy and attract him also outside the classic routes, to bring him towards less known Italian realities that are rich of other unique products. By making this, these explorers and adventurers of food will want to relive that memory, that product, in their country. Ciro Cristiano, head chef of Big Mamma, spoke about Italian restaurants abroad. According to him, the secret of success is to bring true quality products and to propose them in the simplest and best preparations at a competitive price. Ciro made us understand that the key to success sometimes lies on the simplicity of ideas and their realization. The restaurants of Big Mamma and La Felicità, the largest Italian food hub in the world, are a prime example of this. Following the speakers' unique interventions, a presentation of the 2019 projects of I Love Italian Food was made by its co-founder Alessandro Schiatti. Love, passion and the need to bring Italian enogastronomic culture to the world are the real engine of the 100per100 Italian projects presented during the evening. To conclude, guests and speakers gathered to watch the performances and taste the dishes of five true Made in Italy food authorities: Daniele Reponi, king of gourmet sandwiches; Ciccio Vitiello, rising star of pizza; fresh pasta from Emilia prepared by sfogline, BBQ4All's grill master Emanuele Bardini with his team and, to conclude sweetly, Paolo Brunelli, the ice cream maker from Senigallia, winner of the Dissapore 2018 ranking. The evening was organised with the support of Koelnmesse, in partnership with Netaddiction, Dissapore, iFood, BBQ4All and with the contribution of 32 Via dei Birrai, Venturini Baldini, Bottega Gastronomica and Zorzi. The second stop of the 100per100 Italian Lounge, the Italian heart of the most important food and wine fairs in the world, is getting closer. After Thailand, the project of I Love Italian Food will reach Beijing. From the 21st to the 23rd of November the 100per100 Italian Lounge will take place at Anufood China, in exclusive partnership with Koelnmesse, organizer of the event. In the 100per100 Italian Lounge the protagonists will always be Italian products that will be presented and cooked by well-known Italian chefs working in Beijing. To tell the iconic products of Italian agro-food will be the voices of those who, every day, bring Made in Italy to China and know the needs and tastes of the market. Thanks to a program of activities organized by I Love Italian Food that will involve companies, operators in the sector and restaurant professionals, the 100per100 Italian Lounge will also be a networking opportunity for all those taking part in Anufood China 2018. We look forward to seeing you at the China National Convention Center from the 21st to the 23rd of November. 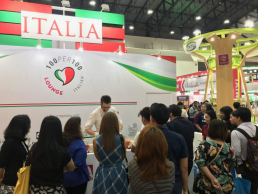 Dubai will be the first stop of the new project by I Love Italian Food: 100per100 Italian Show, the show that gets the products on the stage, the true key players of the Italian cuisine. An international project created to tell and taste the authentic Made in Italy products. 100per100 Italian Show is the perfect event for all the Italian food lovers, who want to combine the pleasure of an unforgettable evening with the taste of an excellent dinner. 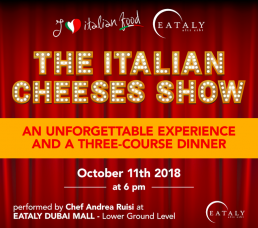 The first episode will be The Italian Cheeses Show, which will be held on Thursday 11th October, at 6.00pm, at Eataly Dubai Mall. Chef Andrea Ruisi will be the performer who will unveil stories, curiosities and will suggest the perfect pairings of four unique cheeses from our land: Gorgonzola, Parmigiano Reggiano, Pecorino and Mozzarella. Then there will be the creation of a perfect Italian Cheese platter and a three-course tasting. For further information and ticket purchase visit Eataly Dubai Mall – Lower Ground Floor – or call + 971-43308899. On September 24th there will be the first 100per100 Italian Talks, the event dedicated to one of the most precious and irreplaceable resources of Made in Italy: food. Italian cuisine is undoubtedly one of the most popular and loved in the world, but, despite this, Italy is only the fifth exporter in Europe, and the demand for food from our country is often satisfied by non-Italian products, which feed every day more the phenomenon of Italian sounding. 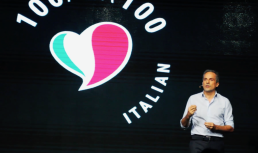 In order to better understand the problems, but, above all, try to play out the solutions, I Love Italian Food created the 100per100 Italian Talks. 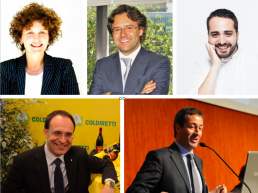 the theme of this first edition is "Food: the black oil of Italy"
In front of an audience of professionals of the Italian F&B industry, five speakers will tell their inspirational stories, in the unique setting of the venue Ruote da Sogno. The common thread of the talks will be leaded by Massimo Bernardi, journalist and founder of Dissapore.com. Sara Roversi, co-founder of Future Food, with her projects has been following for years the mission to seek innovations in the food chain involving students, companies of the field and researchers worldwide. And this is right what her speech deals with: the future and the innovation of Italian food. Nicola Levoni, President of ASSICA and Salumificio Levoni, will bring on stage his vision about how to make industry the keystone for the growth of food exports. Thomas Rosolia, CEO of Koelnmesse Italia. His speech will show us how fairs can still be an indispensable tool, but innovative at the same time, to create new export opportunities for the Italian companies. Roberto Moncalvo, President of Coldiretti since 2013, the main organization of agricultural entrepreneurs at national and European level will illustrate his idea of enhancing and protecting the Italian supply chain and products, always with a view of their internationalization. In conclusion, the business case of the year, Ciro Cristiano, one of the founders and Executive Chef of Big Mamma. He will talk about this 100% Italian reality born in France from the idea of two young guys who believed in the potential of Italian food and wine. Today they have 7 restaurants of Italian cuisine in Paris, including La Felicità, the largest restaurant in Europe, entirely made in Italy. A virtuous example of entrepreneurship and food service, which shows how to bring our know-how abroad. The evening will be organised with the support of Koelnmesse, in partnership with Netaddiction, Dissapore, iFood, BBQ4All and with the contribution of 32 Via dei Birrai, Venturini Baldini, Bottega Gastronomica and Zorzi. Italy's future is closely linked to the future of our agri-food sector; but how can we increase the quality and size of our export? Of this, and more, we will speak during 100per100 Italian Talks - Food: the oil of Italy: the appointment, signed by I Love Italian Food, which will bring the stories and unique visions of 5 personalities of the Italian and international enogastronomic panorama. Next 24th of September, on the exclusive stage of Ruote da Sogno, the speakers will alternate in front of an audience of professionals and representatives of the Italian F&B industry. The interventions will also be broadcast on the web and social channels of I Love Italian Food to reach our entire network. Massimo Bernardi, founder of dissapore.com, will conduct the evening and will act as a common thread among the speeches of our speakers: Sara Roversi (Founder of Future Food), Nicola Levoni (President of Assica and Levoni Spa), Thomas Rosolia (AD Koelnmesse Italy) , Roberto Moncalvo (President of Coldiretti) and Ciro Cristiano (Co-founder of the Big Mamma Group). The evening will be organized with the support of Koelnmesse, in partnership with Netaddiction, Dissapore, iFood, BBQ4All and with the contribution of 32 Via dei Birrai and Zorzi. On Saturday, June 30th, New York served as a perfect setting to unveil the second date of the 100per100 Italian 2018 an evening dedicated to honoring the true patrons of Italian Food in the Big Apple. I Love Italian Food cultural Association announced the names of the professionals who have stood out in promoting the real Italian food in NYC. During last months, indeed, 100 Italian professionals from the network of I Love Italian Food, based in the Big Apple and experts in the made in Italy, have been involved in the project to suggest the names of the realities that every day distinguish themselves in offering an authentic Italian cuisine, to the American consumers as well. And for the awards this year the eight 100per100 Italian Awards were given during the 100per100 Italian Gala, hold at the Scavolini Soho Gallery. For the category 100per100 Italian Menu, through the recommendations of the network, the award went to Norma Gastronomia Siciliana, Italian restaurant which offers a menu that is totally free from any other culinary culture contamination. 100per100 Italian Gelato went to L’Arte del Gelato, that produces and offers the experience of a real homemade Italian gelato abroad. The recognition will not be complete without the awards of ‘The real Italian pizza’, prepared according to the Neapolitan tradition, using 100% made in Italy ingredients. The award 100per100 Italian Pizza went with an ex aequo to two symbol realities of the made in Italy in New York: Ribalta, a pizzeria concept in the Big Apple, leaded by Pasquale Cozzolino and Rosario Procino, and Sorbillo, new entry in the world of Italian pizzeria in NY and the right place to taste the famous fried pizza by Gino Sorbillo. For the 100per100 Italian Espresso award, the network of I Love Italian Food has no doubts that Eataly Flatiron is the perfect place not only to taste the real Italian Espresso, but also the venue to enjoy a moment of relaxation and conviviality, in the Italian way. An emerging name, but already successful in the panorama of the Italian cuisine in New York for the 100per100 Italian Chef award, given to Silvia Barban: talented, with Italian origins of course, contestants on TV cooking shows and, at the moment, leading LaRina Pastificio & Vino, in the heart of Brooklyn. Finally, 100per100 Italian Restaurant, a very special award that went ex aequo to two key realities of the made in Italy in New York: Piccola Cucina, leaded by Chef Philip Guardione, and Tarallucci e Vino founded in 2001 by Luca Di Pietro, both contributing to the promulgation of the real Italian cuisine in New York. The event was a huge success, thanks to the support of the partners of I Love Italian Food: Scavolini, AICNY, Parmissimo, Consorzio dell’Aceto Balsamico di Modena IGP, Bellavista, Contadi Castaldi, Olitalia, Gustoso e infine i-Italy e Dissapore. Last week started 100per100 Italian Kitchen, the new project signed I Love Italian Food and Scavolini in partnership with Dissapore. 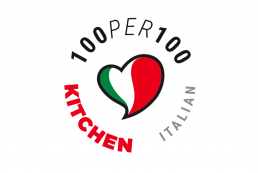 100per100 Italian Kitchen reveals the true Italian cuisine in the Scavolini international showrooms that become the 100% Italian stage of these events. The first appointment was held last Thursday at the Scavolini Store in Boston, but the tour continues! Next stop will be Chicago, after which the 100per100 Italian Kitchen will leave the United States landing in Europe and then reach the Middle East. A unique adventure to discover Scavolini kitchens and Italian cuisine.